One day, all children in this nation will have the opportunity to attain an excellent education. Our mission is to enlist, develop, and mobilize our nation's most promising future leaders to grow and strengthen the movement for educational equity and excellence. 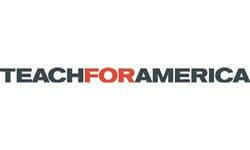 Teach For America is growing the movement of leaders who work to ensure that kids growing up in poverty get an excellent education. We recruit and train committed professionals and recent college graduates to teach and leave a positive impact on their students. In 2016-2017, nearly 10,000 Teach For America corps members will be teaching in low-income communities. Their tireless, passionate work in the classroom is at the core of our mission. After their initial two-year teaching commitment, 85% of our 50,000 alumni continue to work in education or with low-income communities across the policy, health, and business sectors.